Southern Star Allu Arjun is undeniably the most loved South Indian Film Star in Kerala. 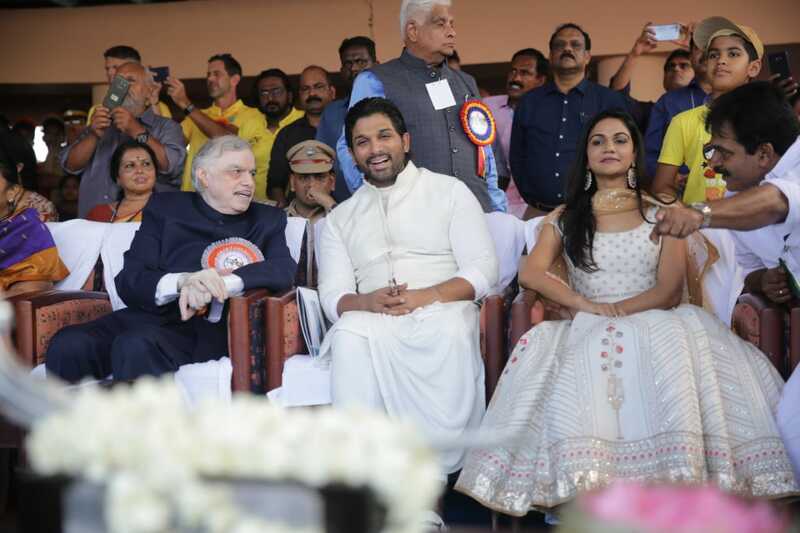 It is known that he was invited as a 'Guest of Honor' to the prestigious 66th Nehru Trophy Boat Race which is going on today on the Punnamda Lake, near Alappuzha. Bunny received a grand welcome when he arrived in Kochi airport. 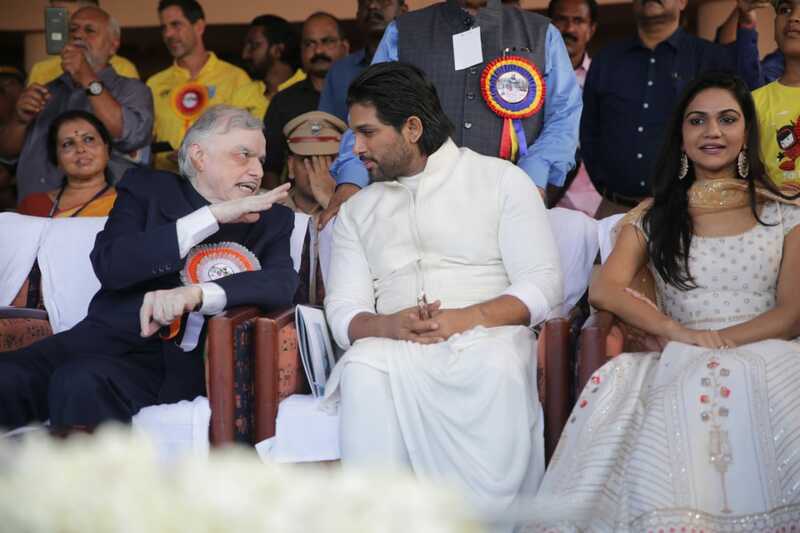 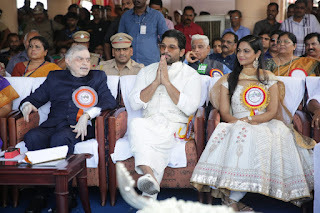 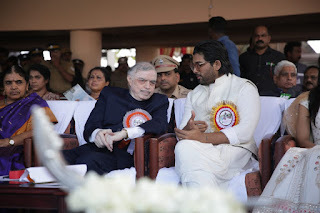 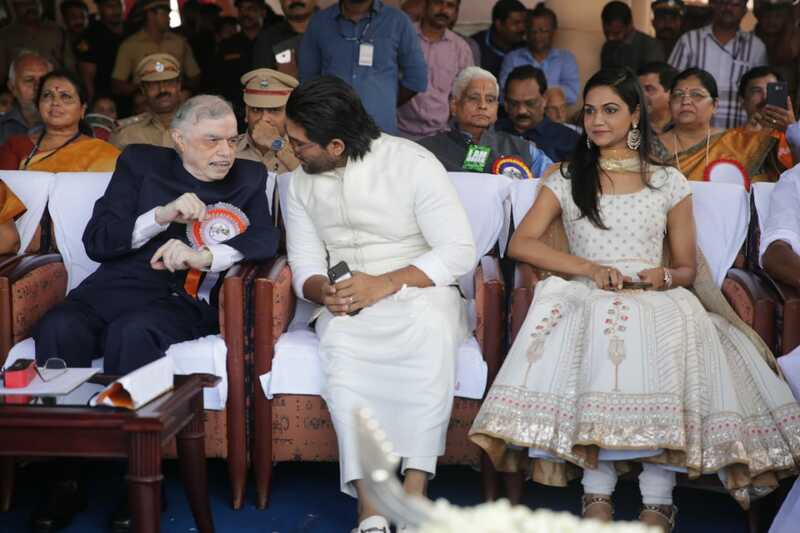 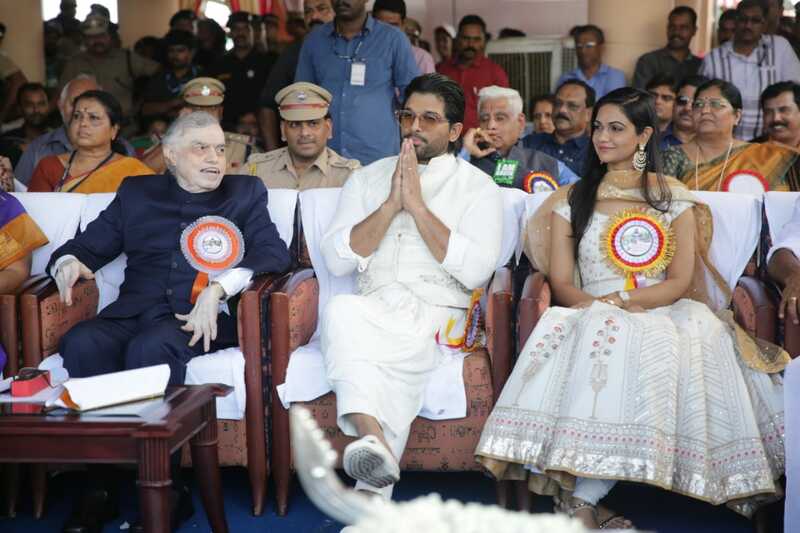 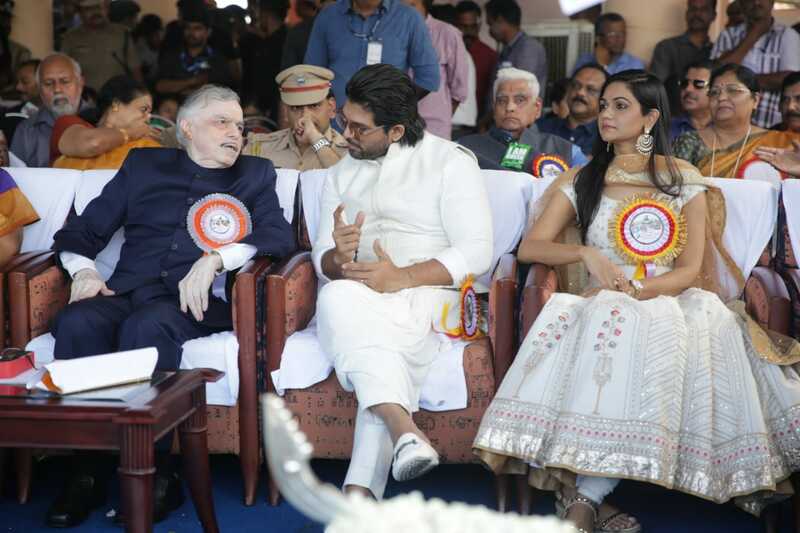 Allu Arjun attended the event along with his wife Sneha Reddy. The Governor of Kerala state, Mr.Palanisamy Sathasivam also attended the event. 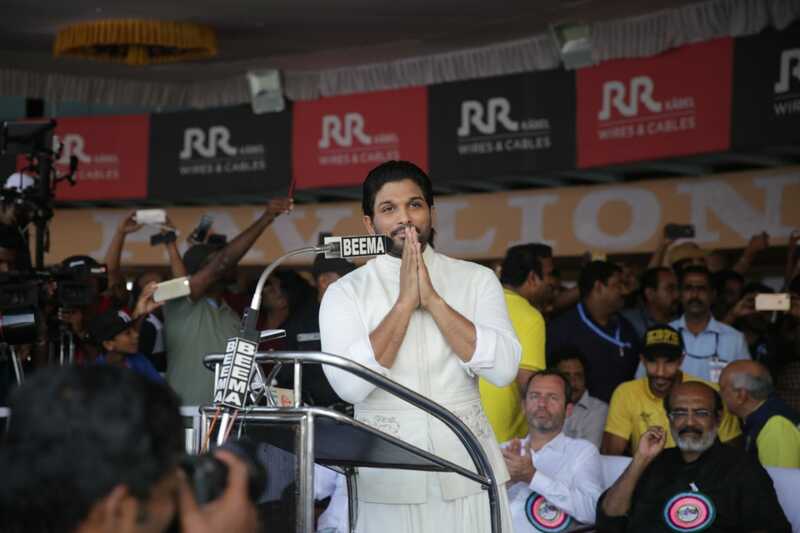 He appeared in a white attire like a Keralite. 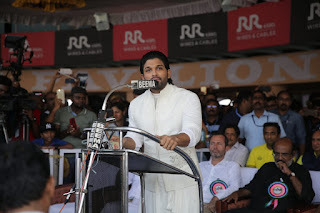 He appeared in a black color dress which is one of the favorite Bunny's look for Kerala fans when he landed in Kochin airport. 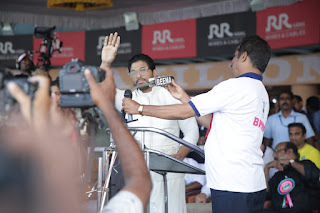 Since then It became a hot topic in Kerala. 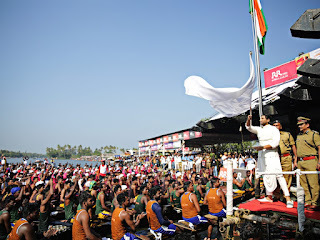 Kerala Government is conducting this event in a big way as it was devastated by the recent floods.